When the sirens started their relentless wail on March 11, 2011 along the eastern seaboard of Japan, who could have imagined that similar, metaphorical sirens might also be resonating in a community in Central Ontario, over 10,000 kilometres away? We’re talking about the small town of Alliston, situated north and west of Toronto. Since 1986 when Honda Canada first opened the doors to the fledgling state-of-the-art operation, Honda of Canada Manufacturing (HCM) have been producing Honda-brand vehicles for the North American market and beyond with great success. In fact, HCM has produced more than 5.4 million vehicles. million of them being sold in Canada since 1973.
key components used in production of Honda automobiles. In September of this year, production at Plant 1 (which builds the Civic Sedan, Coupe and the Si coupe), returned to two shift operations. Jon Minto, senior vice president of HCM, and Jerry Chenkin, executive of Honda Canada announced on October 19, 2011 that full production on all four shifts and Plants 1 and 2 have now resumed. 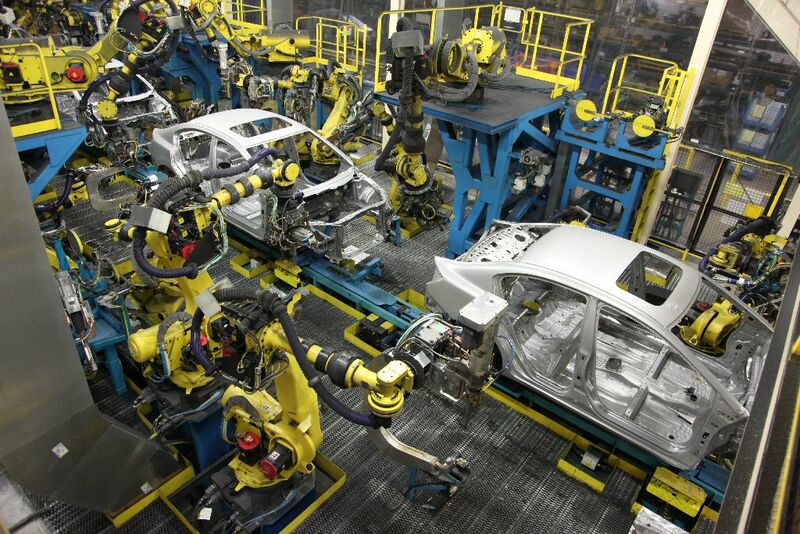 Plant 1 will produce 800 vehicles a day and Plant 2, 600. Plans are underway, however to increase Plant 2 production to 800 vehicles by the end of November. 400 new associates have been hired and are presently undergoing extensive training. Both senior executives made a point of thanking everyone within the Honda family in helping to weather difficult circumstances. Throughout it all, orders for the 2012 Civic continued thanks to the enthusiasm of their loyal dealers. Now the first order of business is to ensure that back orders are filled and that a comfortable inventory of vehicles is maintained. Interestingly enough, while sales on a year to date basis for the Civic are down, as of the end of September, the Civic may be on track to hit the number one spot for the 14th consecutive year. All while maintaining a safe and productive environment in this highly-efficient manufacturing facility.